Psychology has identified many examples of cognitive biases and errors. In relation to gender, there are alpha bias (magnifying gender differences) and beta bias (minimising gender differences). In this chapter we identify another gender bias, gamma bias, which simultaneously magnifies and minimises gender differences. An example is domestic violence, where violence against men tends to be overlooked whereas violence against women is often highlighted. 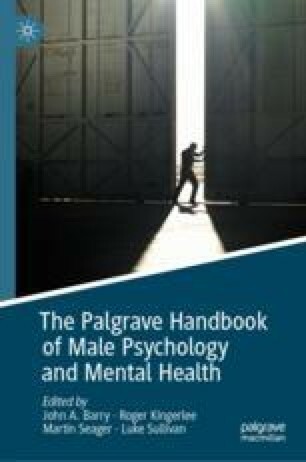 It is argued in this chapter that although we live in times where we now rightly talk a lot about conscious and unconscious bias against women, we are not yet conscious of our biases against men. The gender distortion matrix is proposed as a framework for identifying cognitive bias regarding men and boys. ABC News. (2010). Interracial couple fights loudly in the park | what would you do? Retrieved August 18, 2018, from https://www.youtube.com/watch?v=qUXSU1xUXBM. Brown, B. (2016). Whose lives do gender equality policies improve? Presentation to UCL Women, 11th May 2016. Slides 35–37, available on the world wide web. Retrieved April 25, 2018, from https://www.slideshare.net/BelindaBrown10/. Guardian. (2015). Retrieved from https://www.theguardian.com/money/2015/aug/29/women-in-20s-earn-more-men-same-age-study-finds. The Guardian. (2018). The UK penal system is designed by men, for men. Retrieved August 14, 2018, from https://www.theguardian.com/public-leaders-network/2018/mar/13/penal-system-men-women-new-strategy-inquiry?CMP=share_btn_tw. Huffington Post. (2012). Wikipedia edit-a-thon at royal society aims to fill in gaps of women in science. First published 18th Oct 2012. Retrieved July 30, 2018, from https://www.huffingtonpost.co.uk/2012/10/18/wikipedia-women-science_n_1979237.html?guccounter=1&guce_referrer_us=aHR0cHM6Ly93d3cuYmluZy5jb20v&guce_referrer_cs=h4nPToFYzLN2P8xE10P3XQ.